So if you are so inclined tune in from 4:00 to 5:00 here at All People Quilt. If you haven't listened to Pat's podcasts before, it is simple to get started. 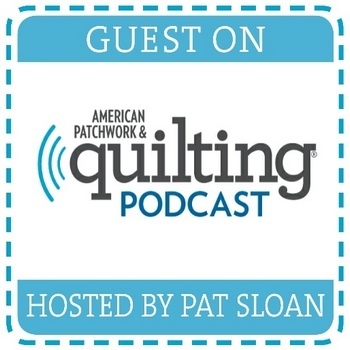 I so enjoy her interviews with a wide range of quilters, pattern designers and other quilt professionals.